Published: Dec. 5, 2014 at 12:44 a.m. Updated: Dec. 5, 2014 at 02:00 a.m. In the sixth and final installment of NFL Network's excellent documentary series Undrafted, we get to see what happens when the dream is realized. When this series started, Akeem Davis was just another NFL wannabe. Like the other five free agents we follow in Undrafted, Davis woke up early, trained relentlessly, then hoped that hard work and natural talent would shine through when given the opportunity. Davis caught the attention of the Redskins, who signed the safety to a contract days before the super regional, then kept him on the roster after a strong training camp and preseason. Davis looks and sounds legitimately awed to have made it. He offers up a goosebump-worthy recollection of being part of a defensive back pregame ritual led by Redskins veteran DeAngelo Hall. "I really can't put it into words what that feeling feels like," Davis says. This is a show that makes you look at bottom of the roster special teams players in a new light. Everyone on that field has overcome remarkable odds to get where they are. Davis is the only one of the six Undrafted underdogs who beats the odds. Linebacker Jonathan Sharpe earns two camp invites but is unattached as the season begins. Defensive lineman Nnamdi Obukwelu is one of the Colts' final training camp cuts, but is the show's second-biggest success story. He landed on Indianapolis' practice squad. In the series' epilogue, we're told that wide receiver Terrance Lewis, running back Harvey Unger and linebacker Elijah Anderson are all still looking for a job. None have given up the dream. Davis' story is the reason why they won't give up. The "Undrafted" finale will re-air Tuesday on NFL Network. 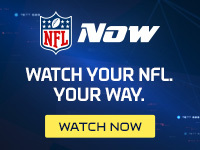 Digitally, "Undrafted" is available on NFL NOW through the service's premium tier, NFL NOW Plus.